It’s time to dust off your GPS and get ready for this summer’s adventures. Join Touratech Adventure Expert and Touratech Rally Ride Coordinator, Eric Archambault for this in-depth, GPS skills class. This class will focus on using tracks as a navigation tool. It will cover what tracks are, and why they are used for backcountry navigation. The process of loading and displaying of tracks will be covered, as well as our recommended display settings. This FREE CLASS will run a minimum of 2 hours. It is recommended that you bring you GPS unit to follow along, but is not required. There will be light snacks, but feel free to bring a lunch. 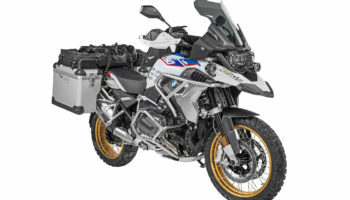 The R1250GS is Here! So are the Touratech Parts!